This badge was issued to Ekaterina Boneva-Damyanova on 27 Nov 2016. 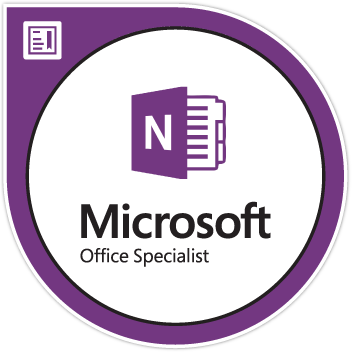 Microsoft OneNote 2013 Certification exam earners have a fundamental understanding of the OneNote environment and demonstrate the correct application of OneNote 2013. Earners create, share, manage, collaborate, and enhance content within OneNote including page layout, sharing, tagging, linking and incorporating visual elements. OneNote earners may include students, educators, professionals, office workers, and others.